NCOTA seeks to provide the most up-to-date and relevant information for OT professionals. With this goal, the association has structured a series of special interest sections each devoted to specific areas of practice. All work to help professionals find the information they need about diverse topics within occupational therapy. Designed for professionals working in managerial, leadership and administrative roles within OT. Occupational Therapists and Occupational Therapy Assistants who are employed in administrative and management positions within their organizations are often faced with unique challenges. This Special Interest Section provides a forum for networking and contacting other therapists who work in similar settings. Together we have the opportunity for brainstorming and problem-solving that strengthen our roles as leaders in the field of Occupational therapy and within our administrative roles. The following information and resources are for those who seek information related to administrative and management topics which may include recruitment, retention, time management, professional development, advocacy and reimbursement. Shelley Sehorn has been an occupational therapist for fourteen years. She earned a BS in Occupational Therapy from Lenoir-Rhyne College in 2003 and lives in Chapel Hill, NC, the “Southern part of Heaven.” She started Creighton University's PPOTD program in 2014 with the anticipated graduation of fall 2018. Shelley has worked in a variety of practice settings including SNF, inpatient rehabilitation, group homes, hospice, school system, and acute care. Previously, she managed the therapy students and coordinated the physical and occupational therapy residency programs as the Center Coordinator of Clinical Education for UNC Hospitals Rehabilitation Therapies Department. However, her passion is in behavioral health, so she has worked for the past nine years on the inpatient psychiatric units at UNC Hospitals. Shelley is currently serving as the therapy services manager for the OTs and RTs within the psychiatry service line at UNC Hospitals and WakeBrook Campus. In her free time, Shelley loves to spend time at the beach. Brittni Winslow received her master’s in occupational therapy from East Carolina University in 2011. She decided she wanted to become an occupational therapist while in high school and gained experience within pediatrics while working as a developmental therapist and volunteering at the Frankie Lemmon School & Developmental Center. Brittni has experience working with children having a variety of diagnoses such as Down Syndrome, Autism, Asperger’s, ADD/ADHD, developmental delays and Sensory Processing Disorders. She has a strong background in handwriting and fine motor skill development and published a thesis titled “The Effects of the Fine Motor and Early Handwriting Curriculum on the Fine Motor Skills of Preschool Aged Children.” Brittni has completed advanced sensory training through the Sensory Integration Certification Program, as well as trainings focused on reflex integration, the Child Adult Relationship Enhancement (CARE) approach, DIR/Floortime, and the SOS Approach to Feeding. Brittni became a co-owner of Emerge in January of 2018. Outside of work, Brittni enjoys exercising, traveling, and spending time with her husband, Clint, daughters, Brooklyn and Eleanor, and dog, Bailey. The NCOTA Educational SIS serves to create a connection between the NCOTA and OT/OTA Programs in NC. The goal is to make sure that OT/OTA programs, including faculty and students, are aware of NCOTA events and the benefits of joining the NCOTA. The SIS can serve as a resource for OT/OTA Programs in NC. The Education SIS Chairs will lead OT/OTA Program discussions on concerns and issues related to occupational therapy education. 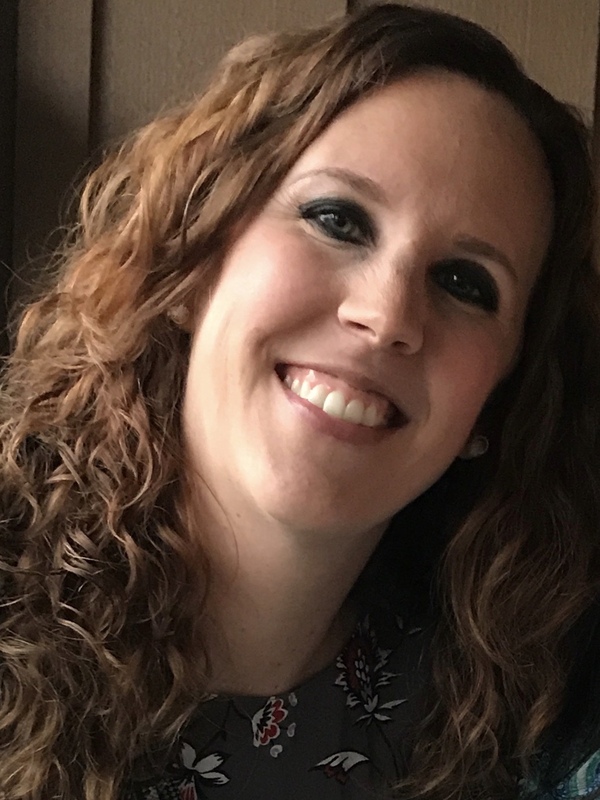 Megan Edwards Collins, Ph.D., OTR/L, earned her BS in OT From Western Michigan University, her MS in OT from Wayne State University, and Ph.D. in Education and Human Resource Studies from Colorado State University. Her clinical experience has been mostly in inpatient rehabilitation and acute care. She is currently an Associate Professor in the Occupational Therapy Department at Winston-Salem State University. Megan has served on the NCOTA board for over 3 years. 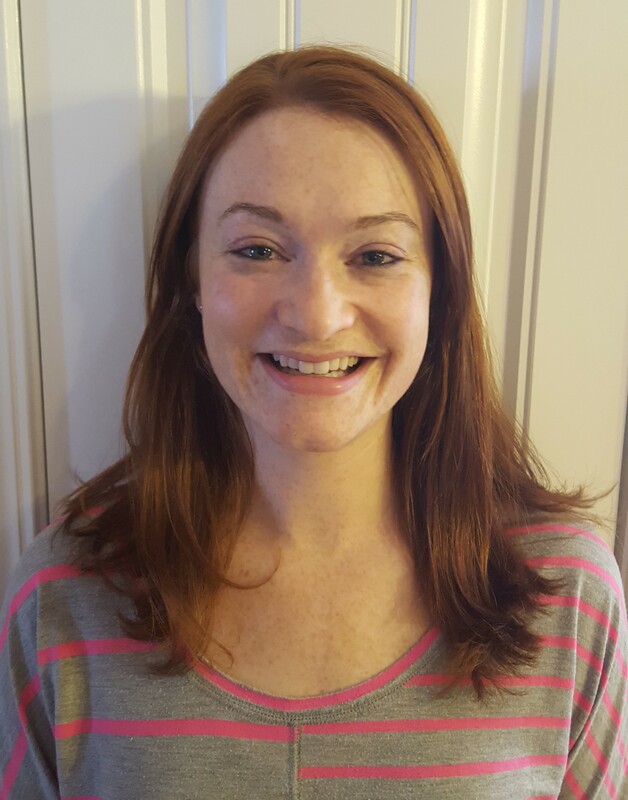 Prior to becoming an instructor, Alisha S. Baker, OTD, OTR/L was the Academic Fieldwork Coordinator for Cabarrus College of Health Sciences Master of Occupational Therapy program. She earned a Bachelor of Science in Therapeutic Recreation from Mars Hill University, a Master of Science in Occupational Therapy from Lenoir-Rhyne University, and a post-professional Occupational Therapy Doctorate from Rocky Mountain University of Health Professions. Dr. Baker's professional experience has been in the role of a lead school-based occupational therapist. She has a passion for working with children with autism spectrum disorder. Dr. Baker has served as the Pediatric Special Interest Section Co-Chair for the North Carolina Occupational Therapy Association and is currently serving as the Education and Research Special Interest Section Co-Chair. She has participated in professional development activities with the National Board for Certification in Occupational Therapy as a Pediatric Subject Matter Expert and the American Occupational Therapy Association as a Critically Appraised Paper Reviewer. She is a member of the World Federation of Occupational Therapists and the American Occupational Therapy Association. 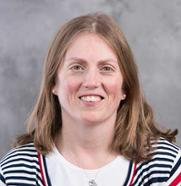 Debbie graduated from the Tufts University-Boston School of Occupational Therapy in 1993, during which time she was first introduced to the Veteran population in the Bedford VA Medical Center. As a result of this gerontology-focused internship, for her entire career as an occupational therapist, Debbie has specialized in gerontology, working in rehab and long-term care, home health, day rehab, and outpatient OT, greatly enjoying working with WWI, WWII, and Vietnam Veterans as well as elderly civilians. Debbie has now worked for the Durham VA for 13 years in Occupational Therapy, primarily in acute care, currently as the inpatient OT acute care Supervisor. She loves to educate staff, patients, family, and friends on the aging process in general and dementia in particular as it relates to function, helping patients pursue meaningful occupations in the home and community. Debbie hopes to bring enthusiasm for gerontology to OT practitioners in our state, promoting evidenced-based practice and strengthening our knowledge base and keeping OT a vital part of the interdisciplinary healthcare team. For professionals working with senior and geriatric populations. This section of the NCOTA website is dedicated to links and resources for OT practitioners who serve older adults. Occupational therapists who work with older adults are employed in a variety of settings, but the challenges that we face and the joys that we experience with our clients are often similar. This Special interest section provides a forum for networking and contacting other therapists who work with older adults throughout a continuum of care. Together we can brainstorm and problem-solve ways to enhance the services that we provide and strengthen our roles as leaders within the occupational therapy profession and within our facilities and treatment environments. As your Gerontology Special Interest Section Chair for North Carolina, I am interested in your comments and in meeting your needs. Please provide me with feedback! If you would be interested in serving on the Gerontology Special Interest Section Planning Committee or in writing newsletter articles about topics relevant to practice with older adults, please contact me. Includes links to 17 regions throughout the state. Learn about resources available to older adults in NC as well as find details about the North Carolina Aging Services Plan and Senior-Friendly Communities. Long Term Care Ombudsmen serve as advocates for residents in nursing homes and adult care homes (rest homes/assisted living) throughout North Carolina. The rights of residents of nursing homes and adult care homes are acknowledged and protected by State law. Dr. Valerie Fox is a graduate of the University of North Carolina at Chapel Hill where she received her Master's degree and PhD in Occupational Science. She also completed the Psychosocial Rehabilitation Fellowship at the Durham Veterans Affairs Healthcare Center, which focused on recovery-based mental health services for Veterans. Dr. Fox currently works as an occupational therapist in the acute psychiatric unit at the Durham VA. She is also the program director for the Geriatric Mental Health OT Fellowship program at the Durham VA. 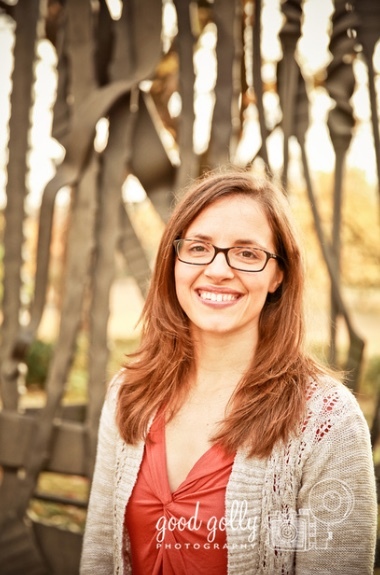 Her research interests include community participation for individuals with mental health issues and the role of occupational therapy in mental health services, specifically supporting occupational engagement. In addition to her role as Mental Health SIS Co-chair, Valerie co-leads a mental health advocacy task force working to advocate for OT inclusion and improvement in mental health services in NC. She is an avid OT advocate and fully believes in the power of occupation to enhance function, quality of life, and wellness. 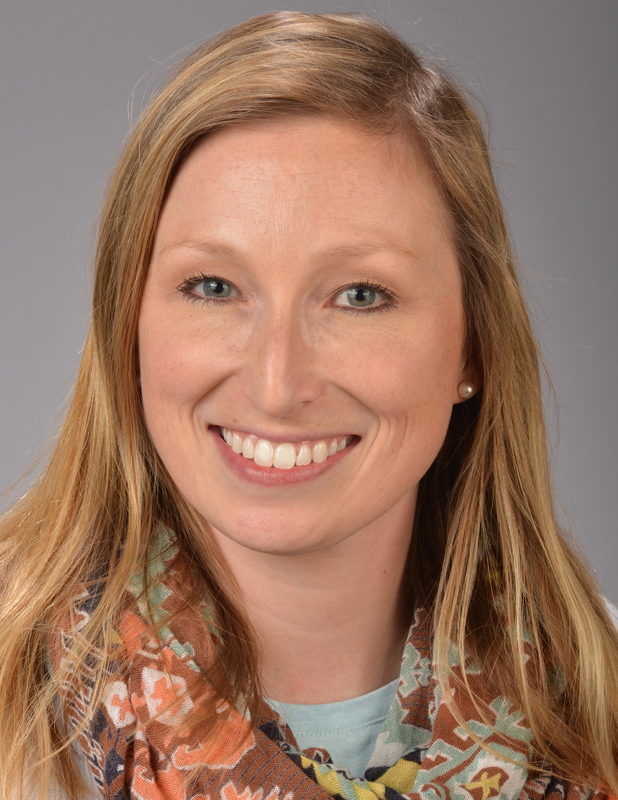 Thus, she enjoys program development, expanding OT services in needed areas, continuing to progress the profession, and mentoring students in occupation-based practice. Mental Health SIS Co-Chairs welcome your input and participation. Coverage and approaches for addressing occupational mental health issues. Their are many important developments coming in the next couple of years. The Mental Health Special Interest Section serves to support occupational therapy practitioners working in mental health, behavioral health, and psychosocial OT settings to promote networking, mentoring students and new clinicians, share evidence-based practices, and build advocacy for both challenges and opportunities within the changing structure of services. Now is an extremely dramatic time in the field of mental health within the state of North Carolina. It is both challenging and exciting with all the changes that are taking place. We aim to be a forum that encourages creative approaches for discussing and responding to the issues that surround this changing workplace. Mental Health America - resource for finding help and learning more information about mental health. NMHA The National Mental Health Association is dedicated to promoting mental health, preventing mental disorders and achieving victory over mental illness through advocacy, education, research and service.NCDHHS The Division’s organizational structure is designed to implement the public mental health, developmental disability and substance abuse service system.National Empowerment Center To carry a message of recovery, empowerment, hope and healing to people with lived experience with mental health issues, trauma, and extreme states. Najiyyah “Gia” Lewis is a practicing occupational therapist in North Carolina. 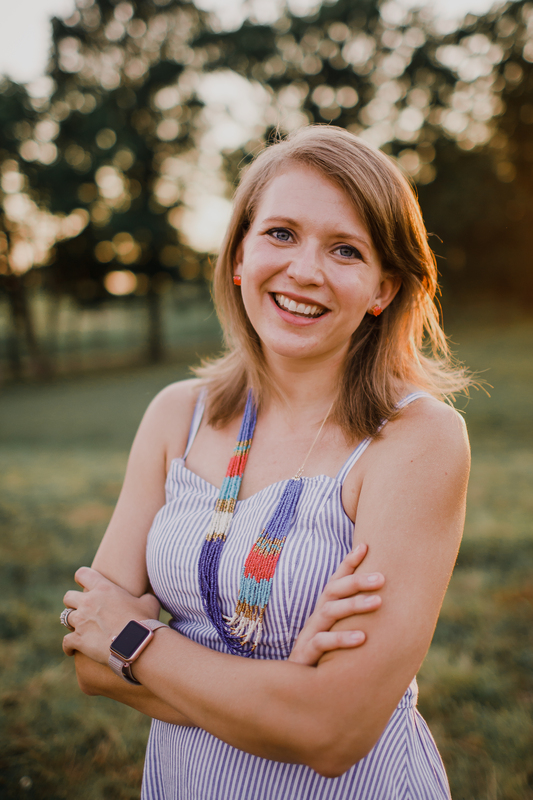 She received her Masters of Science in occupational therapy from East Carolina University in 2006 and a PhD in occupational therapy from Texas Woman’s University in 2017. She has been an occupational therapist for almost 12 years and has experience in various settings to include management, geriatrics, hospitals and pediatrics. She currently works in the school systems of North Carolina serving children who present with a developmental or physical disability that impact their access to their school environment. 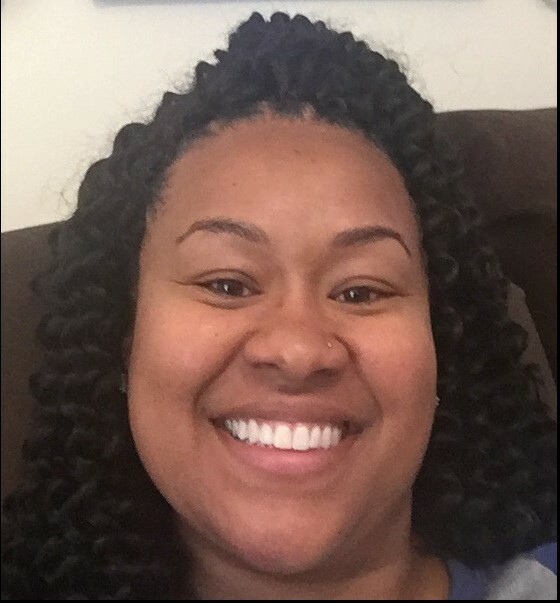 Crystal holds a Bachelor of Science degree in Exercises Science from Methodist University and a Masters of Occupational Therapy from Winston Salem State University. Crystal’s passion is to work in community based settings and hopes to practice occupational therapy world wide. She has been working in Pediatrics since February of 2017 in outpatient and early intervention settings. The Pediatric Special Interest Section serves the interests of occupational therapists working in schools, early intervention, pediatric private practices and clinics to help each other with problem solving regarding current issues involving pediatric practice, increase our knowledge of evidence-based practice, network and mentoring. Pediatric occupational therapists are employed in a variety of settings, but the challenges that we face and the joys that we experience with our clients are often similar. This Special Interest Section provides a forum for networking and contacting other therapists who work with babies, children, and adolescents. Together we can brainstorm and problem-solve ways to enhance the services that we provide and strengthen our roles as leaders within our profession and treatment environments. This site provides a central place where therapists can exchange ideas, share experiences and brainstorm together. Contemporary Forums provides fully accredited, advanced focus, clinical CE conferences for healthcare professionals. Research supports the active teaching of handwriting. AAP recommendations form the basis of pediatric preventive health care. The North Carolina Early Intervention Branch (NCEI) is a part of the N.C. Division of Public Health. The Department of Health and Human Services (DHHS) oversees the Division of Medical Assistance (DMA). The mission of the NC Department of Health and Human Services is, in collaboration with our partners, to protect the health and safety of all North Carolinians and provide essential human services. Madison Meadows, OTR/L, MS, CF-L1, earned her Bachelor of Science in Education in Exercise Science at the University of Memphis, and her first Master of Science degree in Health Promotion at the University of Memphis. She obtained her Master of Science in Occupational Therapy at Winston Salem State University where she was president of the SOTA for the 2014 academic year. Madison’s professional experience includes acute care at a Level I and Level III trauma centers, inpatient rehab, and geriatric care in independent living, assisted living, and skilled nursing facilities. She is a member of NCOTA, AOTA and recently obtained the Level 1 CrossFit Trainer certificate. During her studies, Madison won various awards for leadership and academic achievement to include OT Department Achievement Award, OT Department Leadership Award, and AOTF Scholarship Recipient. She has a passion for people of all ages, and desires to assist those with physical disabilities obtain a life of joyful independence. Information and clinical resources for those caring for adults with physical disabilities. Physical Disabilities SIS Co-chairs welcome your input and participation. Entering 2016 we face challenging times as OT and OTA’s. We see heightened medical complexities & acuity levels in those we serve. Treatment techniques that are ever evolving & attempting to integrate them into a cogent treatment plan is anything but simple. The nuances of the human condition ( our social, cultural, mental/emotional, emotional/spiritual constructs) are being reduced with limited focus on our physicality. This very much goes against our professional roots which so brilliantly understood the dynamic interplay of those nuances in the healing process. In addition the financial considerations of the various venues we practice within sometimes seem to work against our ability to enhance our patients optimal functional task performance. These realities can leave us as clinicians feeling disillusioned, isolated and frustrated. The American Occupational Therapy Association website has comprehensive information via the AOTA Physical Disabilities Special Interest Section in the Members Area of the website. The Hand Subsection, Driving/Driver Rehabilitation Network, AOTA PDSIS newsletters (current & archived), and Member Listserv with the new WebBoard format offer additional help. AOTA PDSIS Chair: Debbie Amini, from North Carolina. The AARP Legal Services Network provides a list of attorneys screened by AARP who offer free and reduced-fee legal services. May wish to look at AARP Long-Term Care Insurance information, AARP Foundation’s Tax-Aide using IRS-certified volunteers to prepare tax returns and answer tax questions, or seek answers from the AARP Foundation Litigation Volunteer Legal Review Program regarding consumer issues, nursing home abuse, and age discrimination in employment. Promotes research, education, & links to International Societies. The Academy of Lymphatic Studies is one of several available certification courses and referral sources for therapists for management of lymphedema. LANA is a non-profit corporation concerned with the competence of therapists treating lymphedema. Adam Lisewski has been a practicing occupational therapist in the state of North Carolina since 2014. He graduated from Bay Path College with a Masters of Occupational Therapy. He has worked primarily in pediatrics. He currently holds a school based occupational therapy position where he is an active Assistive Technology team member. Adam enjoys learning about new technology and software he can use in his occupational therapy school based practice. He is excited to be a SIS co-chair to further strengthen his knowledge of technology, support the blend of technology use within the occupational therapy scope of practice and network with like-minded occupational therapists. Information and resources for practitioners serving patients with assistive technology needs. Welcome! This section of the NCOTA website is dedicated to links and resources for OT practitioners who serve persons with technology needs. Now is an extremely dramatic time in the field of assistive technology within the state of North Carolina as budgets and payers keep changing the rules. It is both challenging and exciting with all the changes that are taking place. We aim to be a forum that encourages creative approaches for discussing and responding to the issues that surround this changing workplace. Occupational Therapists and Assistants who are employed in technology positions within their organizations are often faced with unique challenges. This Special interest section provides a forum for networking and contacting other therapists who work in similar settings. Together we have the opportunity for brainstorming and problem-solving that strengthen our roles as leaders in the field of Occupational therapy and within our AT roles. The following information and resources are for those who seek information related to assistive technology whether it is low or high tech. Assistive technology resources, product lists, monthly newsletter, an on-line AT resource for professionals called “solutions”, and a yearly conference. RESNA- the Rehab Engineering and Assistive Technology Society of North America. RESNA is the certifying board for anyone who wants to receive their ATP (assistive technology practitioner) certification. Potentially, in 2008, all therapists performing wheelchair evaluations for patients with Medicare will have to be RESNA certified or the chair will not be covered. They have an annual conference as well as an online listing of great AT resources. They have equipment of all types for free trial and loan as well as doing advocacy, and public awareness. NCATP also does fee based training, home visits, consultation, workshops, and assessments. Welcome to the Home Health Special Interest Section of the North Carolina Occupational Therapy Association’s website. The evolving home health landscape provides occupational therapy professionals new opportunities to strengthen the presence of OT in this environment. Changing payment models and new federally mandated outcome measures provide a ripe environment for occupational therapy professionals to positively contribute to improved patient outcomes. This section is dedicated to providing information, support, problem-solving, and positive interactions to improve and strengthen our role in home health. Please send questions, comments and feedback to your Home Health SIS co-chair at [email protected]. This fact sheet developed by AOTA provides occupational therapy practitioners with information on how occupational therapy utilized in home health including Medicare qualifications, contributions to the OASIS, supervision of aides, and conditions frequently seen in home health.